In this final post of the series we will now use the Azure Functions API in the PowerApps app. 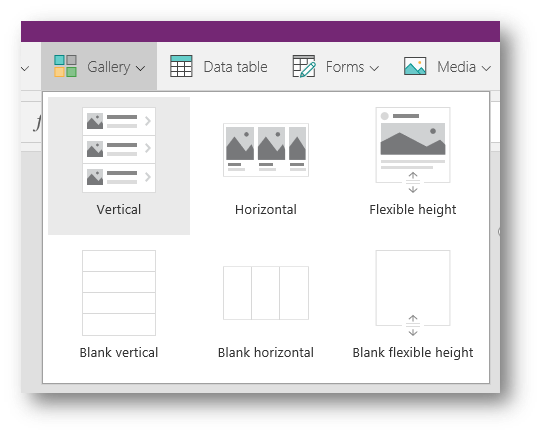 From the Content drop down just above the layout options, choose Add a Data Source. Click New Connection. 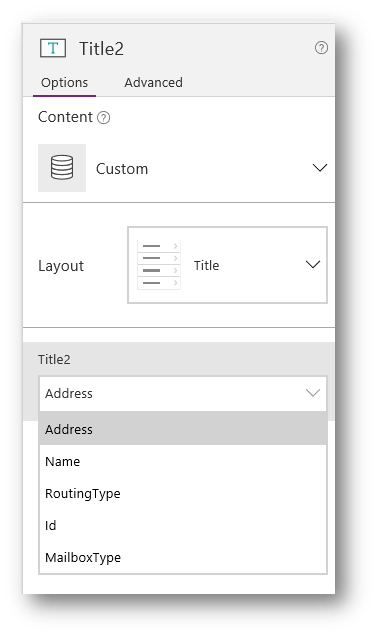 Scroll down until you see the name of the custom connector that was created when exporting the Swagger definition from Azure Functions. Click the connector and then Create. 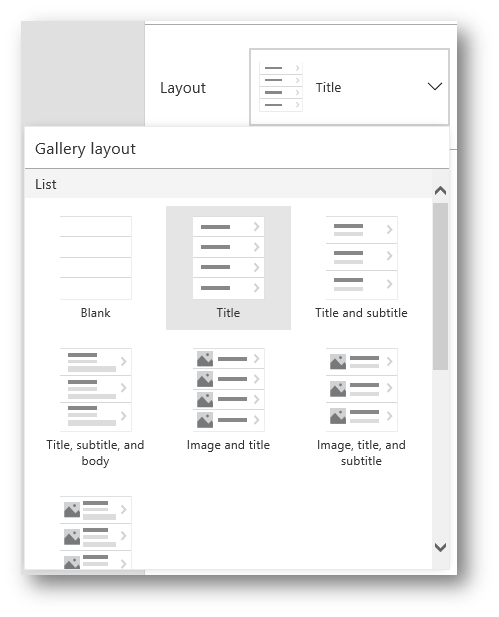 From the galleries property pane, choose the Name field from the list of available options. By now we should have our first screen done (change the theme if you want different colours). Now duplicate the first screen to create the next screen, by right-clicking on the screen name and selecting Duplicate. Rename the new screen (e.g. 'SelectedRooms') and the gallery control (e.g. 'Rooms'). Back on the first screen, select the gallery control, then the gallery template (click the pencil icon in the circle that appears when the gallery is selected) and then the chevron icon. Set its OnSelect property to Navigate(SelectRooms, ScreenTransition.Cover) (assuming the second screen you created is called 'SelectedRooms'). 'name of your connector'.GetRooms(RoomLists.Selected.Address) (with 'RoomLists' being the name of the gallery on the first screen). Also add an icon into the header on the second screen and set its OnSelect property to Back(). Duplicate this second screen, again renaming the screen (e.g. 'Appointments'). As before, setup the chevron icon on the second screens gallery to navigate to this final screen by making the OnSelect property equal to Navigate(Appointments, ScreenTransition.Cover). Re-size the gallery on the third screen so there is some room above it and insert a label (for the name of the meeting room) and a date picker. Re-name the date picker to AppointmentDate. Set the text property of the label to Rooms.Selected.Name (with 'Rooms' being the name of the gallery on the second screen). Now we need to edit the template for the final gallery. Delete the chevron icon. Set the Text property of the label to be ThisItem.Organiser (and style and position it how you want). To add a little more decoration, drop in an icon of a clock to the left of the label showing the appointment time. For an added bonus, you can also display a message when there are no appointments for the selected date. Without any other control on the third screen selected, add another label and position it about the center of the screen. Change the text to be something like 'There are no appointments for the selected date' and its Visable property to CountRows(Appointments.AllItems) <= 0 (where 'Appointments' is the name of the gallery on the third screen). If everything is wired up correctly, you can now test out your app and view the bookings for your selected meeting room! 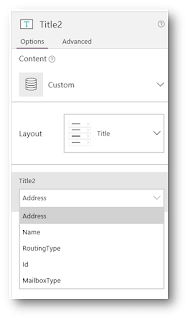 IntroductionCreating an Exchange Meeting Rooms API with Azure Functions (this post)Create a Microsoft PowerApps App to View Meeting Room Bookings The Azure Functions described here were developed with Visual Studio 2017 using the Azure Functions Tools Add-in that provides an efficient way to create Azure Functions that can be developed and run locally before being deployed to Azure.